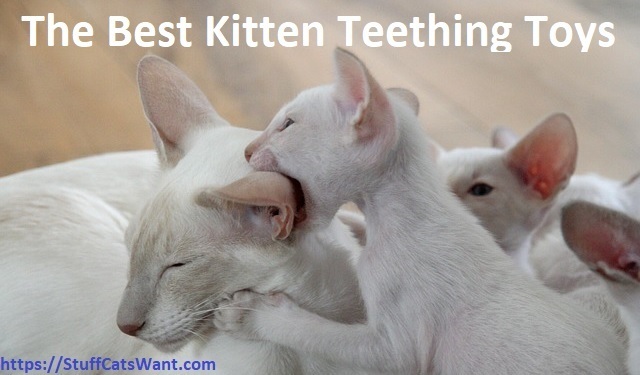 You’re going to want some kitten teething toys around when their adult teeth start to come in! Teething kittens get extra mouthy and extra prone to biting things. No surprise, they’re pretty unhappy with the pain and soreness that comes with teething. It’s not all bad though. It is an excellent opportunity to train your kitten to bite approved surfaces like toys! So let’s take a look at some of the best toys out there for you to redirect kitten biting onto and then let’s talk about just how to do that! Petstages is by far and away the leader of toys that are specifically made for teething kittens. They have a boatload of variations specifically dedicated to kittens and their teething time period. Kong has been in the pet toy business for ages so you know you’re getting a high quality toy when you buy through Kong. This toy is specifically made for kittens. If you’re looking for a little bit of quiet while your cat plays then this is a wonderful option that will help minimize the noise. Most cat toys are specifically designed to make a bit of noise to maintain interest. Unlike most toys the claim to fame with these rolls is that they will minimize the amount of noise your kitten makes while she plays with them! This means you can sleep soundly or focus on work or watch your favorite TV show without the noise. Yes, Petstages strikes again! You’ll be seeing a lot of stuff from these guys on this page. In this case they’ve changed it up for some mouse shaped toys which is pretty traditional. The key selling point here is that the mice are specifically designed for general dental care for your feline friends. If your vet has mentioned any form of buildup or tartar in your kitty then these might be the right choice! Does your cat get morning breath? Or just nasty breath in general? I really can’t say I’ve ever had a problem with my cats having terrible breath, but boy does this make them smell minty fresh after they play with it! If you’ve got a problem with bad breath or just want a better smelling cat then give this a shot! It smells divine. Another great toy from Kong that is specifically designed to keep your kittens engaged in many ways. This toy is a little bit on the larger side for a kitten toy if you look at it as a whole. Anyone wanting a pretzel with some mustard after looking at this guy? I feel like I’m ready to go to a baseball game or something! Now one thing to note right up front is this toy looks big in the picture, but it is actually perfectly sized for kittens a little over 2 x 2 inches. That means your kitty will look adorable dragging around a soft pretzel all the time, and it’ll be much better for her teeth than the real thing! Are you tired of hearing about Petstages and their wonderful dental focused cat toys? Well, if you’ve got a teething kitten I imagine you aren’t, otherwise you might have already zoned out. If you have zoned out by this point you’re probably just scrolling through all the toy pictures to see which one lo oks most interesting. This is definitely unique on the design side having a wheel in the center and some tied on fabric streams, so let’s talk a bit more about it! Admittedly, these are less of a toy and more of a treat for your cat in that they are actual pieces of wood. A bit of a change from previous options I’ve shown you so far because they aren’t manufactured plastic and rubber. That being said, these are a wonderful option for your cats to help relieve the pain of teething and they are also 100% green and organic. Be sure to keep these in a sealed container if your cat is not using them otherwise the scent will dry out quickly. If you’re just not sure what toy to go with then you should take a look at getting a variety pack. This pack comes with 20 different toys in it sized for kittens and made to keep them engaged and entertained. While not all of them are designed specifically for teething there are a few that work great for just that purpose. This is a plastic toy that is specifically designed for your cat to chew on it like crazy and not fall apart quickly. The Wiggle Worm is made of non toxic plastic and is infused with catnip to get your cat interested and engaged from the moment you set it down! Do keep in mind this toy is a bit on the larger side (6 inches long) so if you have an extremely small kitten it may be too big for them. This wand toy isn’t specifically designed for kittens, but it makes an excellent supervised teething toy. Kittens love pouncing on and attacking anything that moves and wand toys are built for it! Wave this around a few times and let your kitten jump on it and she’ll be chewing on it in now time. This wand is made to stand up to lots of abuse, even from adult cats. You’ll find that your kitten absolutely loves it too. If you’re looking for a couple of wonderful catnip scented toys that will keep your kitties batting and chewing on them then you’ve found them! These mice have catnip built right in to keep your fur balls interested. On top of it they are more appropriately sized than many cat toys are for kittens. Coming in at 5 inches (including the tail) they are the perfect size for batting around. Most importantly though they have crinkle paper inside them to make lots of noise. This is perfect for a teething kitten. This toy is a great option if you have a kitten that needs a bit of a safety net and likes to be on his or her own. The Purr Pillow has its own built in purr motor that is triggered by the touch of your kitty. When the purring is triggered it lasts two minutes to keep your kitty company. It is a great companion type toy and it is also built for durability. Your cat can chew on it till her heart’s content and it’ll hold up well! But the additional perk is that it has crinkle paper and catnip built right in to keep your kitty’s attention. 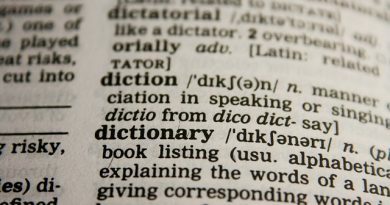 What About Kitten Teething Do It Yourself (DIY) Options? If you’re on a tight budget or if you simply don’t want to invest in kitten toys because they’ll have a limited lifespan then you can try a couple of do it yourself options. There are a few great options that pop to mind right away to help your kitten get through teething without any big investment. Simple and easy, dip a wash cloth in water, wring it out then toss it in the freezer. Once it is frozen you can give it to your kitten as something to chew on. Note this can leave wet spots on your floor and you’ll have to monitor your kitten to ensure he or she doesn’t rip a chunk off and swallow it. 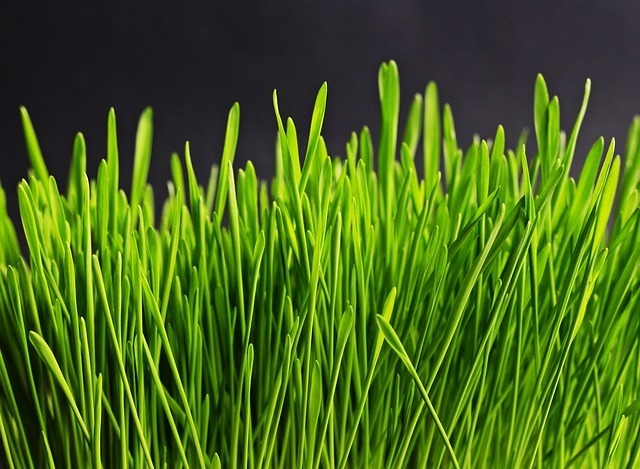 Cats absolutely love to chew on cat grass and it is also completely safe for them. You can buy cat grass on your own, or you can grow it yourself as I recommend. Growing it is super easy and very cheap and you’ll have a very long term supply. 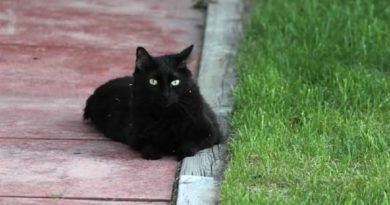 Check out this article on how to grow your own cat grass. If you’ve got a ton of lone socks floating around like I do (I swear they escape out of the dryer!) then you can make some home made sock toys out of them. Socks are quite durable and they provide a ton of options to create all sorts of different toys. Check out this great (2 minute) video on how to make sock toys. Most cats absolutely love chomping on cardboard. Both young and adult cats seem to have a craving for it. It is not a half bad item for them to chew on so long as they don’t end up swallowing it. You can use toilet paper and paper towel rolls as the basis of your toys and then use things like small jingle bells and non toxic glue to make additions. The shelter I volunteer at makes toys for cats every couple of weeks. You’ll definitely want to keep an eye on your cats when they play with homemade toys as pieces tend to be more likely to fall off of them. This is even more true with kittens. There’s much to be said for keeping your kitten engaged until she’s ready to fall asleep. As you can imagine, sleeping kittens don’t bite that much! One of the best ways to do this is with structured play sessions. Really all there is to it is to grab your kittens favorite toy and set aside 15-30 minutes to play with her until she tires out. Not only does this open the door to using pretty much any toy (because you are watching the entire time!) but it also helps you build your bond with your cat. Exercise is great for your kittens overall health and it is also a wonderful way of getting her to focus on something beyond simply chewing on whatever is nearby to dull the pain. One thing you might also note is that you didn’t see me recommend any specific electronic cat toys, most of these are interactive cat toys for the kitten or for the human and the kitten. While you can of course get hands off toys I recommend you personally engage with and play with your kitten as much as possible. It is great for developing a good relationship with your cat! You also might be asking yourself what to feed your kitten during this wonderful phase of teething. 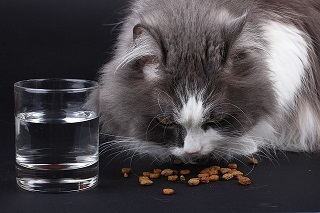 You might logically think that dry food would be ideal because it would help give them something to crunch on and thus relieve pain just like a chewing toy. While there is some merit to this there is also the possibility that it would simply be very painful for your kitten to chew on hard crunchy food while her gums are already sore. Given this there are a few options available. You can soften her dry food by sprinkling a few drops of water on top of it. Be sure to try this in an isolated bit of food first to see if she’ll eat it. Cats are very sensitive to texture and may find it gross and simply ignore moist dry food. The other option you have is to integrate more canned food into your kitten’s diet. This is much less painful for her to chew and is also an excellent source of water which all cats need on a consistent basis. The shelter I volunteer at has the best luck with a combination of canned food and a bit of moistened dry food. While there’s no particular difference in redirecting kittens or adult cats from biting you’re definitely in a much better place if you can get them to redirect at a younger age. This means less overall hassle, and as with any animal, they tend to be more impressionable when they are young. Always have toys nearby if you’re with your kitten. If it looks like your kitten is going to bite be sure to grab a toy and put it right in front of her so she goes for the toy instead of your hand. When your kitten does bite you feel free to emit a slightly high pitched yelp or an ouch and then walk out of the room you are in. Cats, for all their aloofness, do desire your presence and attention and leaving them makes them associate biting with people going away. Do not allow other people to rough house with your kitten with their hands. If one person does it they think it is ok with all people. Everyone should use toys. Don’t yell “NO!” This is the biggest no no in training cats. Yelling at your cat will only scare your cat and make them afraid of you. Common sense here, but never hit your cat, even with a rolled up newspaper. Same as above, they’ll just get scared of you. Cats get bored of toys. Sad, but true. While this is far less of a problem with a curious kitten than it is with an adult cat, it may become something you start to run into as your kitten gets older. Ever heard that distance makes the heart grow fonder? If toys aren’t in use then put them somewhere your cat cannot see them. Not only is this often a good safety precaution, but it also makes the toys seem new when you bring them out. While some cats go crazy for the same toy over and over other cats do not. You might need to rotate different toys in and out every day or every few days to make it seem like it is something novel and interesting. You can buy catnip spray for your toys and just spritz a little on. If you prefer the real thing I’ve also had excellent luck simply sticking my toys inside a sealed plastic container of catnip and pulling them out when I need a good distraction for my cats. You may also ask yourself whether these toys are safe for your kitten or not. A lot of them look small or have pieces that could easily be swallowed. When it really comes down to it no toy is safe for a cat that ends up swallowing any part of it. 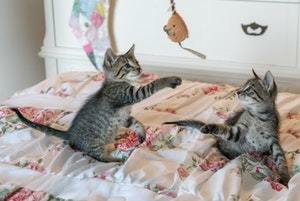 You should always supervise your cat while they are playing, this is even more true with a kitten. The toys here were selected as they are designed specifically for kittens in mind and should be more difficult for a kitten to destroy or get into their digestive track. That being said please do keep a close eye on your kitten no matter what kind of toy they are playing with. It is important to keep in mind that while these are some of the most well regarded toys on the market for kittens…there’s still the chance your kitten will not be interested. We’ve all experienced the joy of buying something for our cat we think they’ll love and they simply sniff it and walk away. Or worse yet, they enjoy the box it came in more than the thing we bought! Because of this you’ll probably want to try a variety of toys to help alleviate the pain of kitten teething. Most of these toys are on the affordable side, and even if not there’s a few do it yourself options I’ve provided so you can help your kitten feel better on the cheap! If you happen to be looking for the best set of cat toys for indoor cats then you can check out my other article on the Top 20 Indoor Cat Toys here. What types of toys and methods have you found work well to help your kitten work through teething? Did out of the box toys work or did you try something else? Tell us about your favorite method, or better yet what you’ve experienced across a bunch of cats! Feel free to leave a comment below or send me an email at Craig@StuffCatsWant.com. Awesome selection of toys for kittens here! None of my cats are kittens anymore but a couple of them still love to play with toys and I’m eyeballing that fresh mint toy you talked about. My cats sure could use a little help with their breath. I’m going to hop over and read your surefeed microchip repeater review as well. I have an old cat that should be eating different food from the rest so I’m going to go check that out. Thanks for all the great info! When my cat was a kitten years ago I tried a Petstages product and I was very pleased with it. My little Nina loved it! But it’s true that at some point, she got bored with it. Cats get bored like humans haha! We just got a kitten, so this post is so helpful for us. I have never dealt with kittens much, so I would like for this little fur friend to be as much comfort in our house as possible. And it does make sense that at a certain age they go through teething that is as uncomfortable as for the human babies. From what I learned from my kitten is that he loves furry toys to chew on. KONG Teddy Bear Catnip Toy for Kittens must be the toy he would love. I will buy another one too so I could switch them to keep him interested in the toys. That sounds like a ton of work and a ton of fun. Kittens are go go go then sleep. Kind of like little kids I suppose! Glad you found the article helpful. 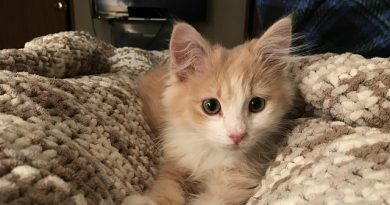 If you would like to feature your kitten as cat of the week definitely check out the CoTW section and send some details over! Liquid cat nip is an excellent option to keep cats engaged. You’ll also definitely want to rotate toys if you have any extras available. These are a great selection of kitten toys, and your tips about training cats are awesome. The idea of keeping the toys inside a sealed bag with catnip is great. I am going to do that with my cat´s toys. How do you suggest to make a cat take a bath? Or, should they take a bath? I will be waiting for your answer. Thanks a lot for your information. Personally I don’t bathe either of my cats. Generally speaking cats don’t require a bath, though it won’t hurt them. If your cat does get into something extremely messy they might need some help to clean up though, say for example a dusty room. Just be sure that if you decide to bathe your cat you use a shampoo specifically formulated for cats like this one. Otherwise you may end up giving your cat a rash or skin irritation..